Yes, you can. But the info is a little hard to gather. And Jordan Lake is in my backyard – literally five minutes away from Monterrane. So here’s a quick list of some good resources for various kinds of boat rental on Jordan Lake – fishing boats, pontoons, jet skis, kayaking and canoeing. Something for everyone. Right off Highway 64 in Apex, Crosswinds marina is a full service facility for boat enthuiats. Services include wet storage, dry storage on trailers, pontoon and fishing boat rentals, public launch ramps, tackle shop, and an independent marine repair shop. Fishing boats start at $80 for a two-hour rental on a weekday. Pontoon boats start at $135. These folks deliver jet skis to Jordan Lake 7 days a week from sunrise to sunset. Play for an hour or play all day. 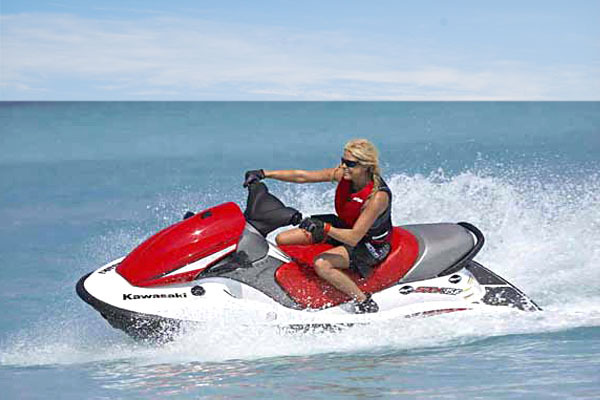 Features quality three-seat Waverunner, Jet Ski or Sea Doo watercraft. Rates start at $90 for a one-hour rental. Striper season runs from April to December. 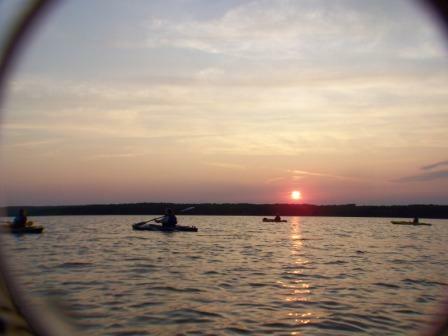 Easy paddling, low cost and a shallow draft make kayaking a great way to get close to natrure on the lake. Kayak Adventures has lots of great themed trips including “Paddle with the Beavers,” “Sunset Full Moon Paddles,” private parties and standard rentals of canoes and kayaks. Frog Hollow rents kayaks and canoes, runs guided expeditions, camps and overnight adventures. 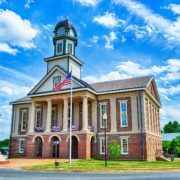 In addition to Jordan Lake, they also offer services nearby on the Haw River, the Eno River, the Cape Fear river, the Neuse River, the Deep River and Falls Lake. Another way to enjoy Jordan Lake without owning a boat is Striper-Sniper Adventures.They offer guided fishing expeditions on the lake. Half-day trips with up to three people start at $250. Full trips are $300. Includes bait & tackle, but you must have a valid NC fishing license. 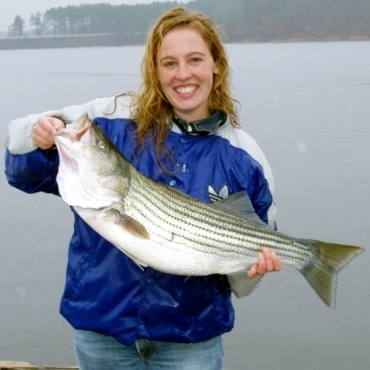 Country Singer Tift Merritt caught this big one on Jordan Lake with Striper Snipers. So there you have: something for everyone. There are many other suppliers of boats, rentals and tours on the lake. Many don’t even have a website. Try a few of these folks up above and, while you’re here, ask around at one of the local bait and tackle stores for info on boat rentals and guides. If you have a favorite boating resource on Jordan Lake, please add it in the comments. And if you’re interested in living near Jordan Lake, Pittsboro or Chatham County, I’d be happy to tell you about my favorite neighborhoods and homes. Get in touch! 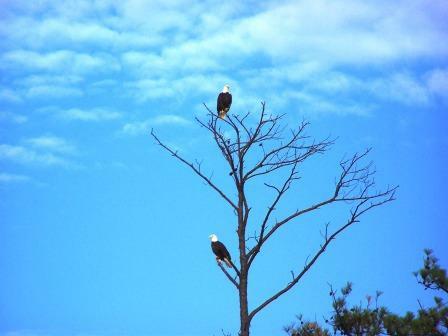 Eagles on Jordan Lake. Photo by Kayak Adventures. This is great, thanks Julie! Try calling Jordan Lake Water Sports they rent too! I see that these are both guided tours, are there any that will just rent a pontoon boat to you? It doesn’t have to be on Lake Jordan just curious to know what is close to Raleigh that might offer this. 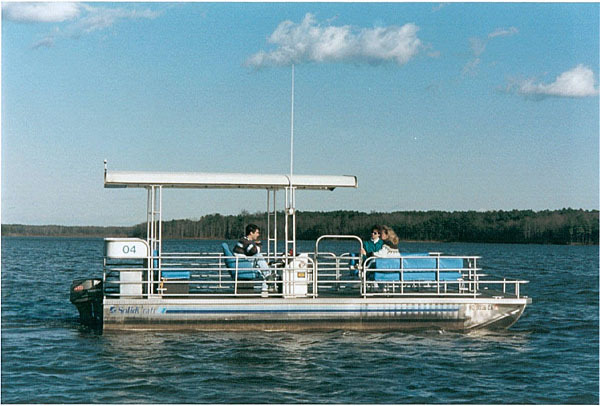 At Lake Norman you can rent a pontoon boat for most of the day to have around 10 people on board and its pretty reasonable. FYI, we’re now offering pontoon boat RENTALS on Jordan Lake, as well as Stand-up Paddle Boarding…. Had to break down and offer the pontoons, since I had sooooo many people calling about them. Hope you can come visit sometime! They are now offering Pontoon boat rentals! I am interested in renting a pontoon boat on Saturday, July 28. Can you please give me rates and times. Do you have all day rentals and do you have half day rentals. I am mainly interested in an all day rental. Thank you. Hi Janet – Call or get in touch with anyone on the list up above. We don’t rent boats – we sell houses. Have fun on the lake – send us a picture! 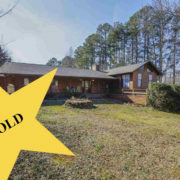 Video: 133 Foxglove Country Living in Cary – SOLD!